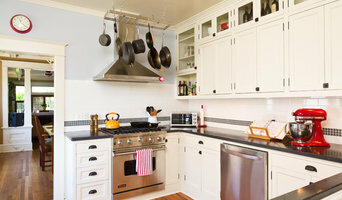 Located in the beautiful gorge, in the heart of Hood River, we specialize in custom kitchens and all cabinetry needs. Columbia Cabinets has been serving the gorge area, along with many surrounding areas, since 1998. We carry several manufactures, with all types of cabinetry which can be completely customized to fit any of your needs, whether it be frame-less, face frame, or inset cabinetry. There is a design for every budget and a wide variety of woods, finishes, laminates, and paint choices to work with. We have a professional, warm staff and multiple designers on our team to make sure we give our best to accommodate you personally, and your ideas. Stop by, give us a call, we would love to help create what is custom to YOUR vision! 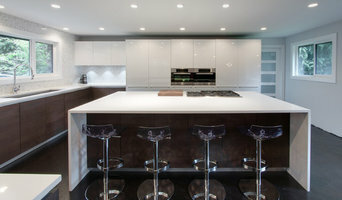 KE Designs specializes in professional design, sales, and installation of kitchen and bathroom cabinets. We offer fine cabinetry products suitable for any budget from Mid Continent, StarMark, and Canyon Creek. Our show room is located in Tualatin, Oregon just off of I-5 and Boones Ferry Rd. Near Lake Oswego and our warehouse in SE Portland Oregon Cedar Hills Cabinets Outlet is an easy commute from any direction in and around the Portland Area. Cedar Hills Cabinets Outlet offers comparable cabinets to the big box stores as well as top quality customizable cabinets to fill every need. Cedar Hills Cabinets is a small local family owned company. Our knowledgeable designers and staff will work with you to help design your space and provide 3-D designs and Renderings so you can visualize your space with your new cabinets before placing the order. Cedar Hills Cabinets Outlet provides very affordable quality cabinets that has been manufactured since 1940s to the very customizable with hundreds of options, styles, colors, stains, foils, laminates, and exotic woods and hardwoods to choose from. The options are limitless only to what you can imagine. Come in to our brand new showroom or call us to set up an appointment with one of our designers so we can help you with your next new cabinet selection or closet system, we are happy to provide this free service. (Ask about details) Cedar Hills Cabinets Outlet offers Free Design service to our customers helps you visualize in full 3D just how your kitchen, or bath, office space, closet space will look like with lighting plan and flooring materials. We also provide a full array of countertop selections from Quartz to Granite. 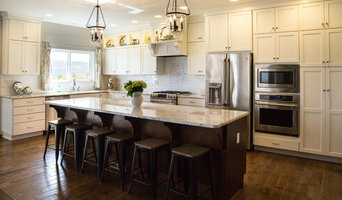 Cedar Hills Cabinets would is here to help with full design service to completing your renovation so we don’t just sell the cabinets and leave you in the lurks, our designers will work with you and your builder all the way to the end. Don’t just take our word for it come join us in our showroom or call to set up a free design consultation today. The heart of your home - designed and constructed here in the Portland Metro. 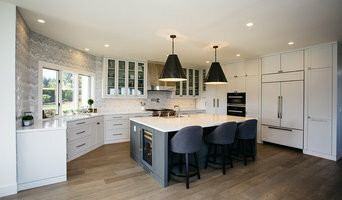 We are one of the fastest-growing, environmentally-responsible, distributor-direct custom cabinetry companies in the PNW. 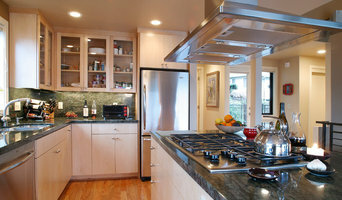 Here in Ridgefield, Washington we carefully design and construct the perfect cabinets for your needs. We specialize in frameless, European style cabinets and our craft is truly what sets us apart. Our headline says it all. Quality/Schedule/Price is what we pride ourselves on. We believe a good company can truly fulfill two of the qualities but a great company will fulfill all three. So we ask you this question, why choose a good company when you're already looking at a great company. We are a local cabinet company in the state of Oregon. Our goal is to provide a excellent service and a great experience while taking care of your cabinetry projects. We work as a team, our primary objective is to truly understand what is our client's vison. *Authorized Yorktowne Cabinetry Dealer* Majestic Building Supply has the custom cabinet styles, services, and supplies you desire for your kitchen remodel or home renovation. Our team is ready to assist in creating your kitchen vision then bringing it to life. To begin your new cabinetry project, feel free to contact us for your custom cabinet consultation. We are Majestic Building Supply LLC with craftsmanship, quality and experience proudly serving Portland.